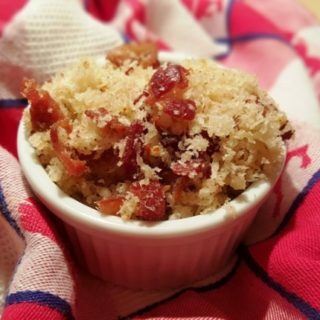 Crispy Bacon Garlic Breadcrumb Topping finishes off Macaroni and Cheese and makes a terrific topping for Green Bean Casseroles. 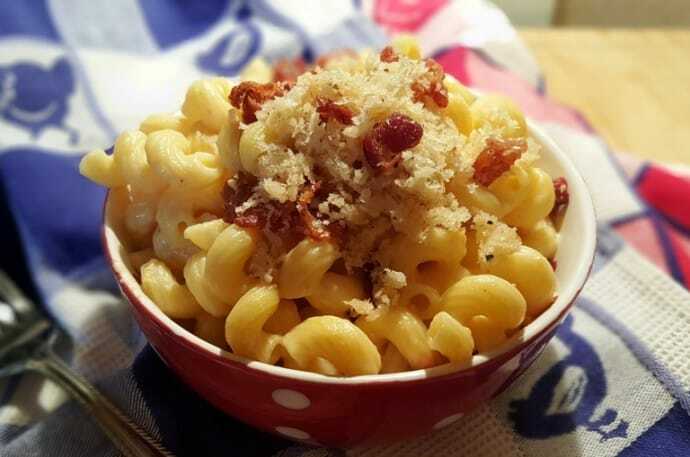 The beauty of this Crispy Bacon Garlic Breadcrumb Topping is that you can prepare it while your Pressure Cooker Macaroni and Cheese is cooking and then just put it on top when you are ready to serve. 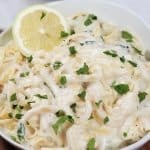 This topping will add so much yummy flavor to all kinds of dishes, not just Macaroni and Cheese. 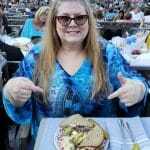 Potato skins, various soup, fish, and the list goes on. You can top any pasta dish with the Crispy Topping. How about topping that boring Green Bean Casserole to change it up? This is also delicious on my Buffalo Chicken Macaroni and Cheese and my Butternut Squash Pasta. If you don’t have Panko, just use regular breadcrumbs. 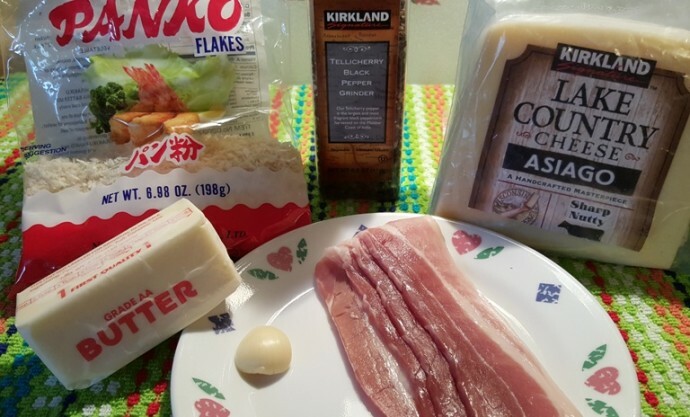 I love Asiago in this topping, but Parmesan is a good choice too. 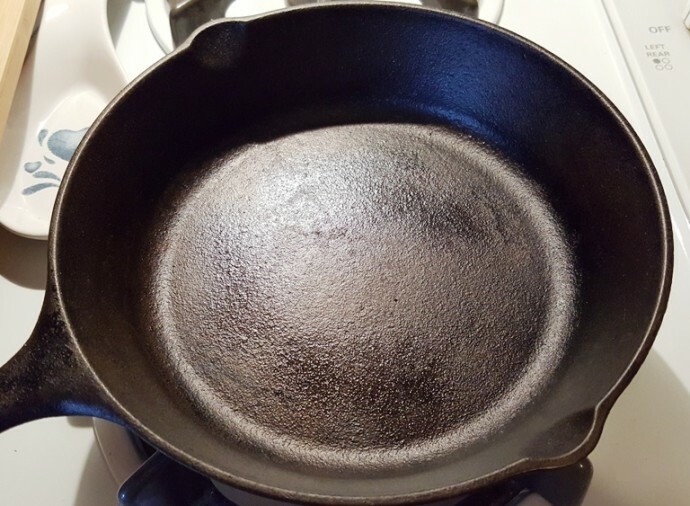 If using Cast Iron Skillet or Stainless Steel frying pan, always start with a hot pan and then add your fat. 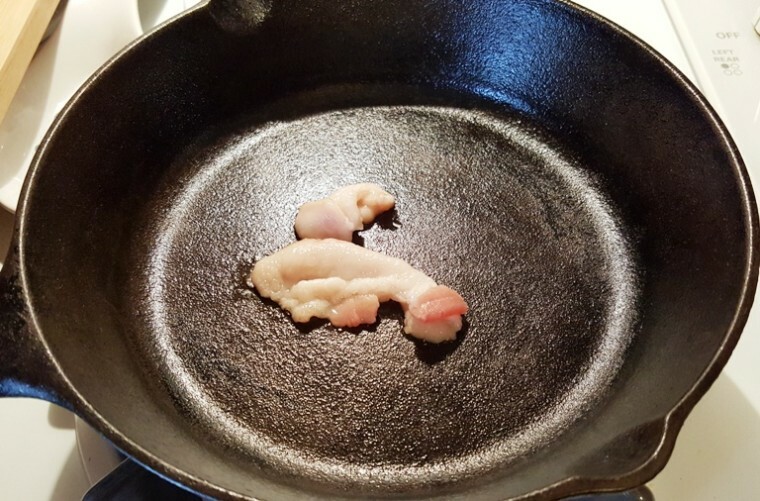 Since bacon is full of fat, I like to cut off a piece and twirl it around my Cast Iron Skillet. This will make the skillet non stick and will also season the Cast Iron Skillet further. Add the rough chopped bacon and cook until crisp. 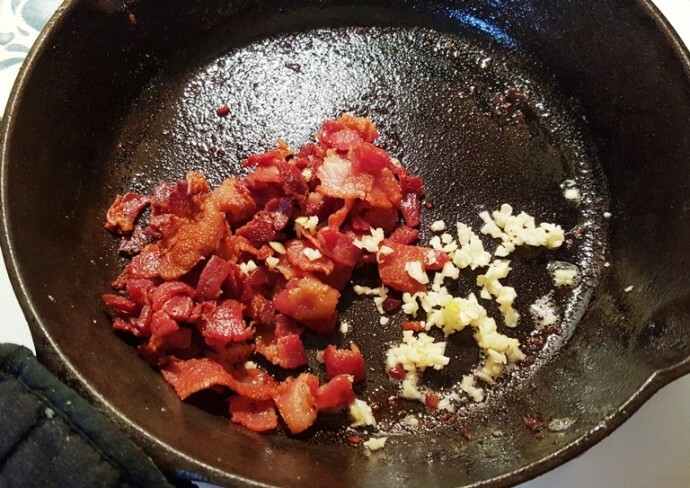 After you have fried the bacon, drain off most of the grease and add the garlic and cook another minute. 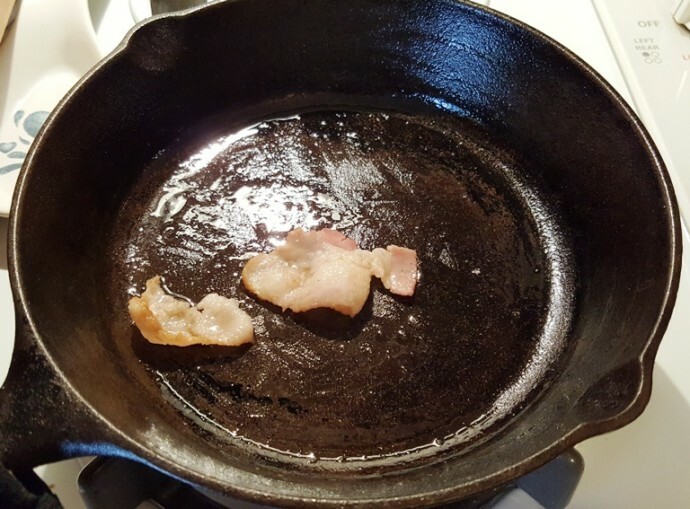 If you skillet gets too dry, add back in bacon grease or butter, whichever you prefer. 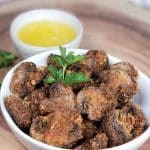 Dump in the Panko (or bread crumbs) and cook until they start to brown. 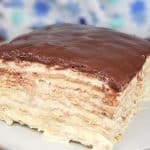 You will probably need some more grease at this point. I use a LamsonSharp Chef’s Slotted Turner with a natural wood handle. 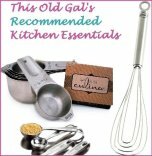 I like to buy the best kitchen tools so that they last longer and work without frustration. Always buy the best that you can afford, never break the bank. 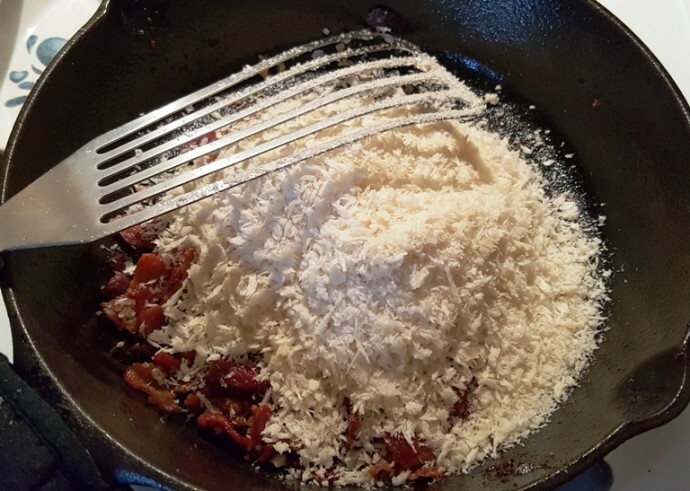 Add in the pepper, if using and grated Asiago cheese and just cook another minute and remove from heat. 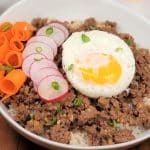 You can flavor up so many dishes with this topping….. 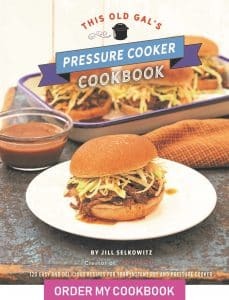 It goes great over my Pressure Cooker Macaroni and Cheese and my Homemade Green Bean Casserole! Heat cast iron skillet over medium heat and then add bacon fat to coat. Add rough chopped bacon and cook until crisp. Add garlic and cook one minute. Add panko and cook until slightly browned. 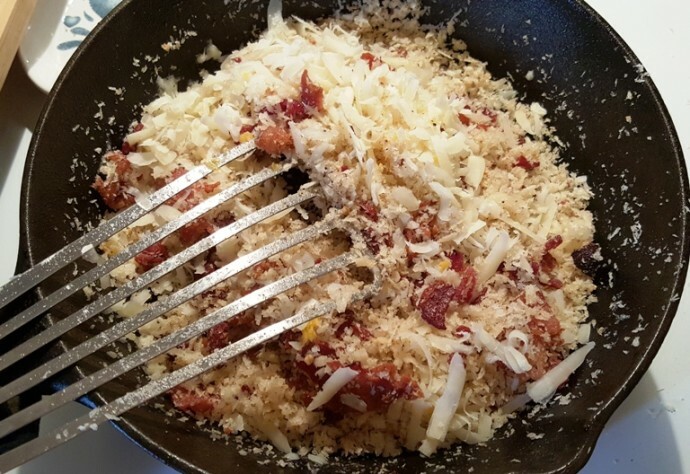 Add salt and a touch of pepper and then add grated cheese and mix in for one minute and remove from heat. 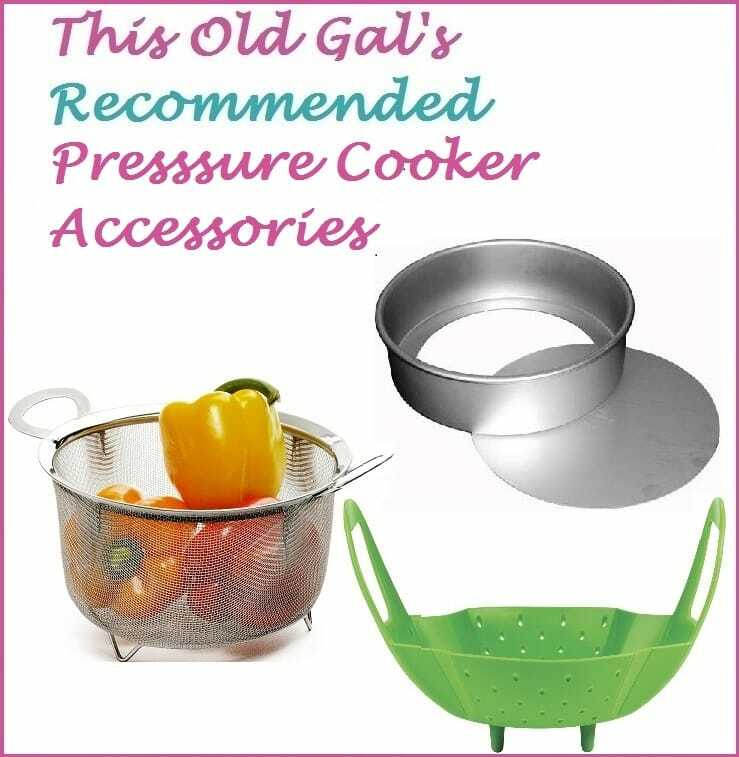 Great for topping Macaroni and Cheese. 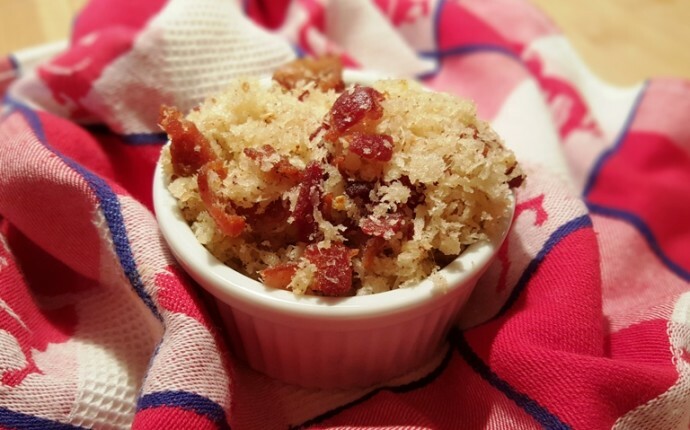 PIN this Crispy Bacon Garlic Breadcrumb Topping! Is this enough to cover a whole batch of your awesome mac n cheese? Or should I double it? Wow! This stuff is amazing!